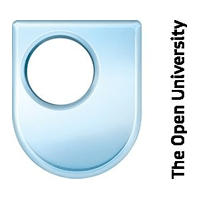 Get your MBA through Open University Ireland’s postgraduate programme. Entry Requirements You will need a minimum of three years’ experience in a managerial, professional or technical role, so that you have a practical business base on which to build your MBA learning. Usually this means that you are at least 25 years old as it is unusual (but not impossible) to be able to satisfy the ‘experience’ requirement under this age. Carear Path Employers value the MBA as an indication of high level business and management skills. The MBA (Technology Management) is a true, generalist MBA qualification but with a focus on technology. MBA skills are in demand, increasingly so in times of economic uncertainty, and employers want practical experience, a thorough grasp of business, and the ability to lead at a strategic level. AMBA's (The Association of MBAs) careers survey shows that MBA students can expect their salary to increase, and the MBA to have a positive impact on their career progression, as well as bring improvements to their organisation or business.